In a competitive marketplace, sales teams need as much help as they can get to persuade potential customers that they should choose your company, product or brand. However, modern customers do not want to be "sold." They want to feel that they have arrived at the purchase decision through their own logic and intellect. What they want from you is to be engaged in a relevant, meaningful way with personalized offers, educational content that helps them learn about your product, timely communications or even humorous content to provide a moment of fun during the workday. However, customer engagement is not a "one-size-fits-all" process. It needs to vary by touch point as well as by what your customers are doing and who they are. Experienced sales professionals know that they must adapt to individual customers; where one customer might prefer a straightforward, brief approach, another might be offended by bluntness and brevity. Having the insights needed to adapt to the needs and wants of different customers is critical to building customer loyalty and trust — the two primary building blocks in the world of customer relationships. Consumer attitudes have changed dramatically since the introduction of the internet. Customers feel — and are — more empowered. They can investigate marketing claims, see what other people say about a company or product, compare prices and search for alternatives. They can discover what your employees think about the work environment, investigate the company's carbon footprint, check whether the company supports their favorite charities and learn how the company handles complaints. Increasingly, consumers are viewing brand relationships as personal matters that include their own values, emotions and personalities. Therefore, consumers are looking for engaging experiences that demonstrate how well the company understands them and what the company thinks of them. In turn, this fosters a sense of trust that leads to repeat purchases and lifetime customers. If a relationship is not established, customers are more likely to be fickle and devoid of brand or company loyalty. Microsoft Dynamics 365 combines industry leading ERP and CRM systems into a single cloud service. Previous posts have discussed the many features of MS Dynamics 365, including the vastly improved business intelligence, the excellent marketing module and the features that can boost the productivity of sales teams. 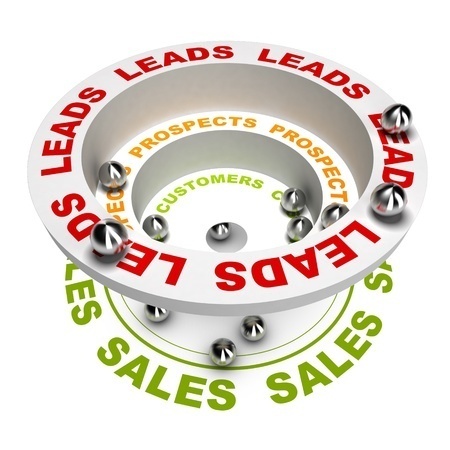 Here are some of the "ways" that MS Dynamics 365 for Sales provides to can help your sales team turn leads into relationships. Predictive intelligence can identify which leads to go after by providing automated lead scoring and prioritization that show a lead’s likelihood to contact and likelihood to convert. Signals from Exchange and Dynamics 365 reveal relationship health, risk, and next best action, allowing sales teams to focus on the most important prospects and customers. Real-time interactive dashboards ensure that actionable insights are easily accessible so sales teams can make quick informative decisions. Business intelligence provides simple to understand and act upon customer insights. Insights are in context of your customer relationship so that it’s easy to focus on the right priorities and drive personal engagement. Social Insights analyzes social posts to identify and act on buying signals from potential leads. Access a snapshot of social activities through embedded buzz volume, trends, and sentiment analysis. Embedded OneNote facilitates note taking and sharing directly from within the sales application. Easily capture pictures and hand-written notes for sharing with the sales team. Easily share conversations, events, notes, and documents with colleagues, even if they aren’t users of Dynamics 365 for Sales. MS Dynamics 365 for Sales is flexible and adaptable, extensible and scalable. It provides intelligent insights to help salespeople sell more in less time, eliminating many of the distractions that can keep sales professionals from focusing on their true priorities. Sales teams can predict what customers need and want, allowing them to deliver the type of personalized attention that can build lasting relationships and drive revenue. In short, MS Dynamics 365 can help you grow your business and increase your profitability by closing deals faster and more efficiently while simultaneously nurturing your relationship with each customer.